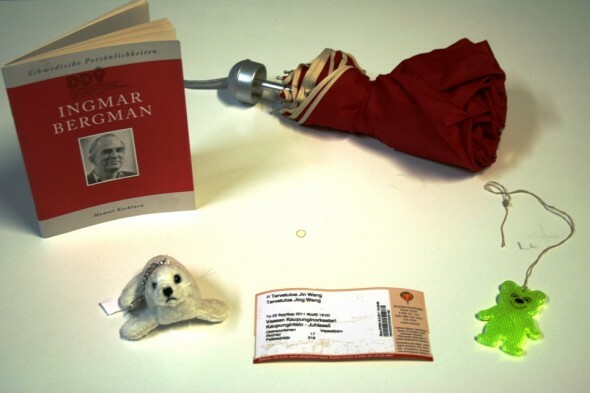 My luck is not ending – new selection of objects on offer: a red umbrella, a booklet on Ingmar Bergman (in German), a key ring with a soft toy (seal), a reflector in the shape of a teddy bear for the dark days and a concert ticket for the Vaasa city orchestra, next Thursday, 22.9., 19:00! Again – you can either have all objects or some or one of them in exchange for something of lesser value. 2011/09/16 | Filed under Uncategorized.